Looking for useful newborn photography tips for your first photoshoot? Want to become a newborn photographer but don’t know with what to begin? No wonder, baby portrait photography is one of the trickiest genres out there, as we have a lot of responsibility for the security of our little models. Having worked for many years in this field, I have gathered the most valuable and relevant newborn photography tips for amateurs. Newborn photography is a subtype of portrait photography genre of taking photos of a child from birth to about 2 months of age. No one can say how you should take pics of childbirth and what is the classical way of taking portraits of babies. Bright decorations, small newborn photography props, and matte/pastel colors are typical for newborn photography. Such kind of shooting is also organized during the first two weeks after the baby was born. Parents invite photographers to hospitals or their houses to capture these small human beings. The model will mostly sleep, so newborn portraits shooting can take up to 4 hours including short breaks. Today, it is one of the most popular genres, which is developing rapidly. A great demand for newborn photography specialists can be explained by a large number of infants. In addition, this photo genre has no "hot season" or "off season" periods, since babies are born all year round. All parents want to capture their beautiful babies at any day or month. Always put the jewelry (earrings, rings, necklaces) away. If you work with the newborns, remember to wash your hands! All the babies are very susceptible to microbes, and even the smallest germ can be dangerous for them. That is why remember to wash your hands as often as possible during the shooting, as even your photography equipment is “full” of microbes. If you are using the baskets and buckets, it is recommended to put a sandbag in the bottom. The average weight is 10 pounds. Shooting from above, do not forget about the camera strap. Among the most important photography newborn tipsare always to keep the baby under the supervision and never leave him/her unattended! If you have to go out for a while or just to talk to the parents, you should not take your eyes off the newborn. You can also ask the parent or even your assistant to watch the child. Regulate the temperature, and do your best to keep the infant warm. He/she shouldn’t be cold or hot, so make sure the newborn is all right. Never place the heater very close to the infant. It can be very dangerous. Watch for poor circulation. If you notice that the hands or feet of the baby become red, purple or blue, you have to readjust or put the newborn in a different position. In case the baby is cold or looks splotchy, you should wrap him/her or cover with a blanket to warm the child. Newborn photography is a very special genre as the babies are very sensible and susceptible, in particular, when they are surrounded by different props, so take the reflexes of the newborn into account. Take care of your nails and make sure they are smooth, or, in another case, you will have to ask your assistant for help. Doing newborn photography for many years, I happened to get useful advice from parents. As a result, I created great newborn photography poses and my own philosophy when it comes to photo editing. Using these ideasyou will improve and upgrade your skills. Newborn shooting is difficult because it has many nuances. For example, babies cannot control body temperature, so some difficulties may arise during shooting. I always try to maintain the optimum temperature (about 80-85 degrees F (26-29c)) for myself and the baby in the studio. Why? Imagine that you spent several months in a house where the temperature is 86 degrees. Then you need to go outside where the temperature is only 70 degrees. Of course, it will be stressful for your body. Therefore, the baby will have the same sensation. I also recommend having a portable heater for such shootings. Some noise during shooting will help the baby sleep more soundly and won’t wake up from the startling sound of your shutter. Doctors say that babies hear loud sounds being in the womb. So, you can include different sounds to calm the baby and help him/her relax. The last point is very important because absolute relaxation allows you to make great newborn photos. Babies are very unpredictable, so I prefer to organize shooting in the morning. At this time, babies sleep more deeply and do not respond to sounds. Probably, each parent will agree that their babies are very capricious in the evening. Schedule your newborn photography, if it is possible. This is one of the main tips for newborn photography session. Before running a photography business, you need to deal with all the legal nuances in order to eliminate any problems in the future. I also advise you to draw a special newborn photography contract with your customers so that they know what photography services will be provided. This is a very important detail and useful photography newborn tip that you have to take into consideration. As a rule, creative newborn photography props prove that you are a professional, who knows how to achieve great results. But which photography props to choose? I prefer using newborn photography DIY props or some meaningful things. They are an easy and inexpensive way to make your photos look more visually attractive and professional. There are a lot of options you can choose from: hats, baskets or crates headbands, blankets and quilts, costumes. Make sure that the props you choose are safe for babies. Choose wool, cotton or bamboo fabric. Blanket Size: 50*60cm / 19.68*23.63"
Wrap Size: 40*150cm / 15.75*59.05"
As you’ve understood, newborn photography requires a lot of preparation. Therefore, you need to pay attention to your clothes as well. You have to choose the outfit of the neutral colors, which won’t affect the baby and reflect on his/her skin. I prefer wearing white clothes because it serves as a natural reflector. Pay attention that you will need to change the position and take pictures from different angles, so choose clothes that will be comfortable. All newborns have very sensitive eyes that react to any light. 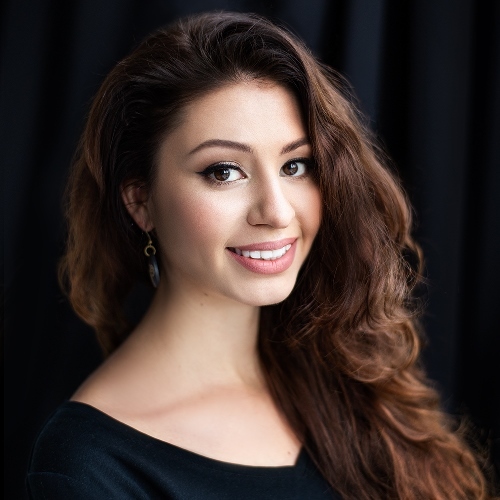 Therefore, you mustn’t use different flashes and additional lighting at the shooting. You’d better opt for safe light sources. This is one of the most important tips for newborn photography because you have to care about newborns’ safety. Remember that parents trust you the most important photographs in their lives. Therefore, communication is your most important tool. You can visit clients before the photo session to see how they communicate with the child, discuss the photography props you’ll use, show them to make them sure in its safety. Offer parents to design funny and creative invitations to their baby’s birthday party free to persuade them ordering your newborn photography services without doubts. You don’t need a massive photo studio with a huge backdrop to create stunning photos from far away. When you look at final results, it’s impossible to tell the difference between photos made in a real studio or in a compact DIY studio at home. 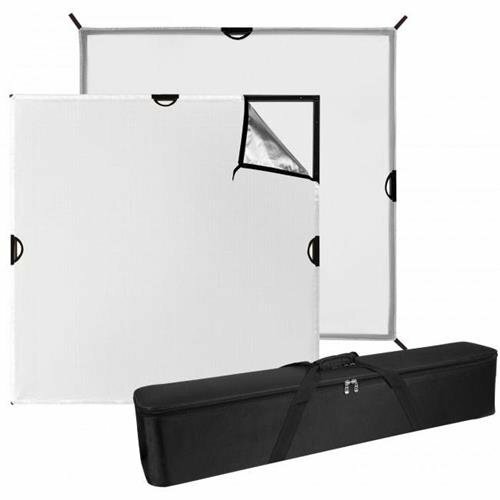 To create a small photo studio, all you need is a background stand, bean bag, posing pillows and a backdrop blanket! I’m sure your biggest adjustments will be associated with color correction and skin smoothing. Make everything natural and avoid “overphotoshopping”. Use Lightroom presets or free newborn Photoshop actions to make quick color correction and remove reddish skin. If you need professionally edited newborn photos fast and for affordable price (starting at $5 per photo), address FixThePhoto. Skin retouching, deep color correction, creative photo manipulations, background retouching or digital drawing service to satisfy all your requirements. Though lifestyle photo shooting is thought to be simpler than the posed one, there are still some difficulties and nuances to take into account. In case, you are going to have a lifestyle newborn photography shooting, read the following tips to cope with the task successfully. The first and most important thing you should do when you arrive at your clients’ house is to ask for a house tour. This will allow you to define the places with natural light and quickly choose the newborn photography ideas you would like to implement. You should definitely pay attention to other locations, which are typically bright and roomy, such as the living room, or the staircase. Another important newborn photography tip is not to wait until the baby is smiling or just sleeping quietly. Try to take the whole range of emotions of the newborn, whether he/she is yawning, crying or doing something else, as these are the precious moments that are undoubtedly worth capturing. In fact, such emotions are the essence of lifestyle photography. . The baby’s nursery is a very important place in the house, and the parents put their heart and soul in designing it. That is why you should carefully think through the newborn pictures ideas in this special room. Whether the baby is in the arms of his/her parents or on a changing table, the photos promise to be very touching and sincere. One of the most important tips for lifestyle newborn photography is to be on the lookout all the time and don’t set the camera aside. A photographer should capture all these candid and cute moments of the family when they do something habitual and do not know that they are being shot. There are a lot of things for the parents to do with their baby, instead of sleeping, of course. Thus, you will get the most touching photos ever, and your clients will be definitely grateful for that. Your clients will probably need some help and directions on how to pose, interact with the baby and with each other to get awesome photos in the end. They will surely do everything in the natural manner and your task is just to capture the best moment. In case there is the elder brother or sister in the family, you should certainly include him/her in the photo session. Use such tips for lifestyle newborn photography with siblings to take really interesting and sweet pictures. Ask parents dress their children in the same color pallet or even the same outfit. Make your baby photos pop or dreamy and add a magical touch having used various Photoshop overlays. Get prepared to the photo session in advance, as it may become very unpredictable. Find the newborn photography poses guide, select the examples you would like to implement and save them to your phone or tablet. What do you think is the most difficult for the newborn photographer? The answer is quite easy – to put the baby into the necessary pose and don’t harm him/her. You should have enough knowledge and professional skills in order to place the newborn properly. It will be better if you have already dealt with the infants, but if not, it can seem a little strange and difficult for you (you should do it ONLY with parents). However, there is no need to worry, as we have prepared some useful newborn photography tips on poses. Do not try to do something difficult for the first time. Start with basic and simple newborn photography poses, such as back or side lying! You may also face the situations when the parent will ask you to use some newborn photography props or take a specific photo. You should remember that if you feel that you do not have enough experience to perform this or it may be dangerous for a baby, never do it. Trust your intuition. Regardless of what the parents want, you think of safety first. Do not be afraid to say ‘no’ in case you think it’s risky and you have some doubts. If you are a beginner, you may be surprised with the infant photography ideas looking at the images of the newborn. For instance, when you see the infant in a jar filled with candies, on a motorcycle and so on. Actually, it isn’t always true-to-life. Composite is the most important thing for such photos. So, before starting the newborn photo shooting, try to learn more about the composites with the babies. If you have posed the baby, but you notice that he/she feels uncomfortable, it is better to try another pose. Try to keep everything natural. After you have taken the main shots, I recommend using zoom to capture small details. Take a few shots of small lips, hands, eyes, and feet. Some parents would like to see how small the child is in the photos. For this, you can use some details to show the size. Most babies smile while sleeping, so you can try to catch this wonderful moment. Believe me, the result will be amazing! There are also some common problems that can happen while shooting the newborns, and no matter how much you want everything to be perfect, something can still go wrong. However, if you are a professional newborn photographer, you should foresee all possible situations to be ready to deal with all the problems. So, let us discuss some of the most frequent challenges and find the newborn photography tips for beginners to solve them. This is probably the most common and unpleasant issue. 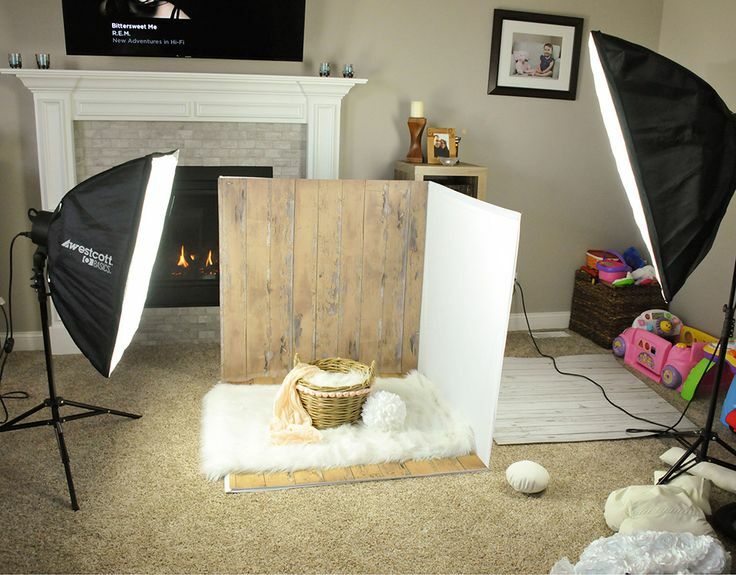 Such situations are normal and it often takes up to four hours to organize everything and take great newborn pictures at home without rushing out. Moreover, the infant can feel you and your emotions, so in case you are upset and start to panic, do not expect the baby to be quiet. The newborn is the boss in such situations. Your main task is to be patient and keep calm. Unfortunately, you will not be able to keep the infant naked without the peed stuff. It is true because they pee all the time. You are also at risk. The only solution for you is not to take the diaper off, and here you are! You will get an amazing and cute picture without any accidents. Take into consideration that there are cases when the baby is born earlier or later. In order to avoid such situations, you should be flexible in case you’ve planned a shooting before birth. Baby acne is another common problem you may face. Expect the red spots to be everywhere, and not just them. Fortunately, you will not have any problems with removing all of them in Photoshop, but first, ask the parents whether they want the photos to be edited so much. Infants can ask for food all the time, and this may be a little problem during the shooting. But you cannot do anything with this. You can try to postpone the photo session. So, with these tips for newborn photography, you are definitely ready to start your work! The main thing is not to get upset if something goes wrong, and just enjoy the process!